Written by Shayla Price on February 23, 2018 . Save all these transactional emails for later (plus 5 bonus examples). Get your Best Transactional Emails Swipe File. The first customer email sets the tone for the entire customer lifecycle. It’s an opportunity to make a memorable first impression and get the customer excited about your brand. The welcome email is arguably the most important email you will ever send your audience. It boasts incredible engagement rates and establishes the customer relationship. Try sending it immediately upon customer signup. It sets the user up for success and builds brand credibility. 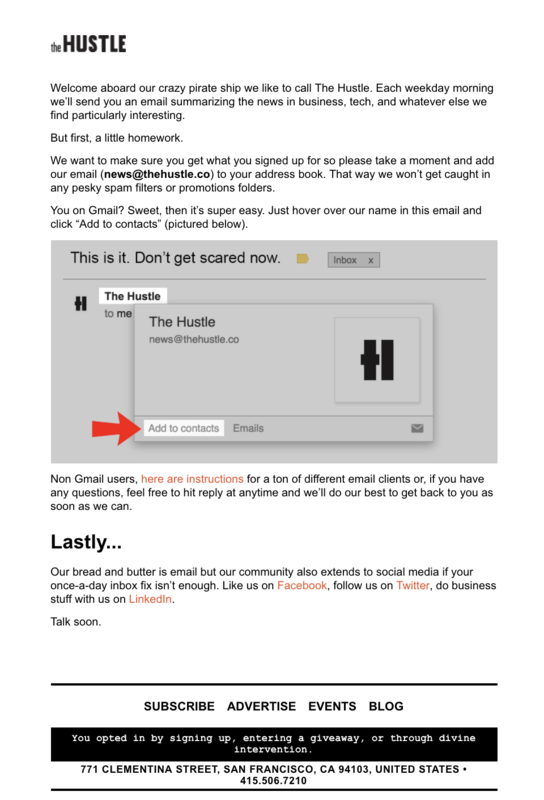 The Hustle’s welcome email reiterates the company’s mission. While there’s plenty of creativity in this message, it also creates the best possible customer experience with visual instructions. Double opt-in emails are another chance to earn your customer’s trust. A quick email confirmation lets recipients know that you care about the security of their accounts. 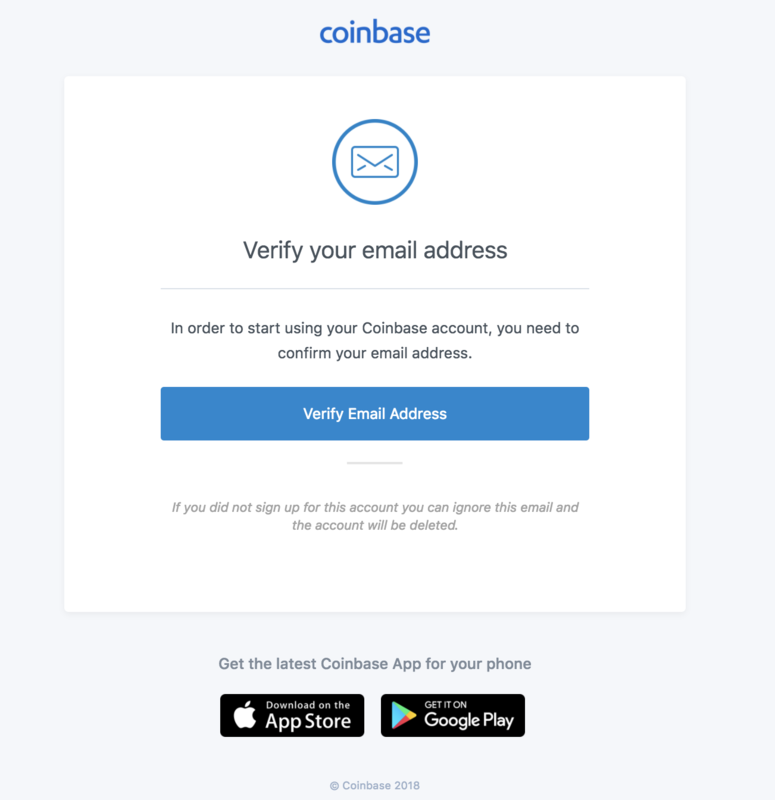 Coinbase stores financial information for their users, so creating a secure environment is paramount to their success. This double opt-in email is straightforward and reassuring. The message may never be read again, but it builds goodwill. Of course, many transactional emails focus on the actual transactions. It’s vital that your brand communicates billing information accurately. Invoice emails gently remind customers to pay up without sounding too aggressive or annoying. These emails also express the value the customer received. 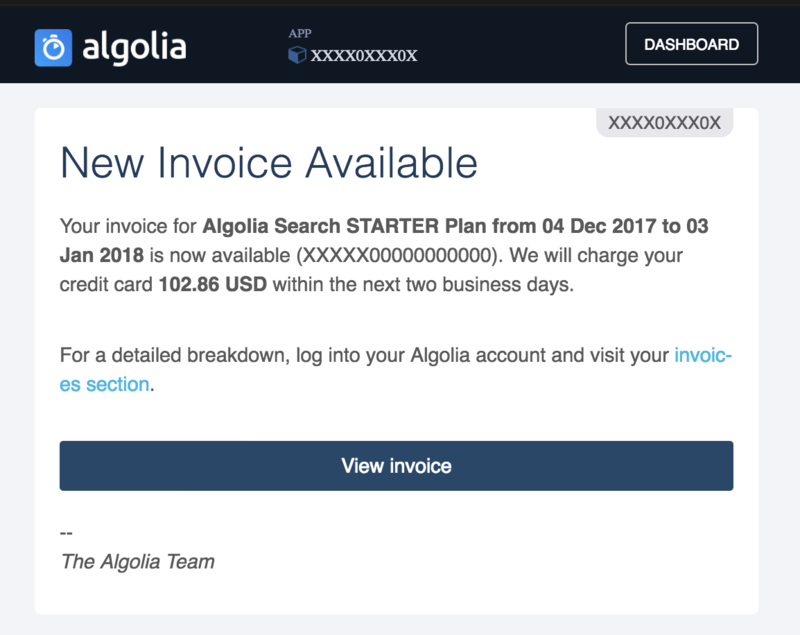 Algolia sends out a short invoice email letting the customer know about an upcoming payment. It then provides a link to the individual account, so the customer can view the bill. Like the invoice, the receipt is useful for financial planning and recordkeeping. Receipts can be stored in accounts, attached as PDFs, or both. In your receipt email, it’s always nice to show gratitude. 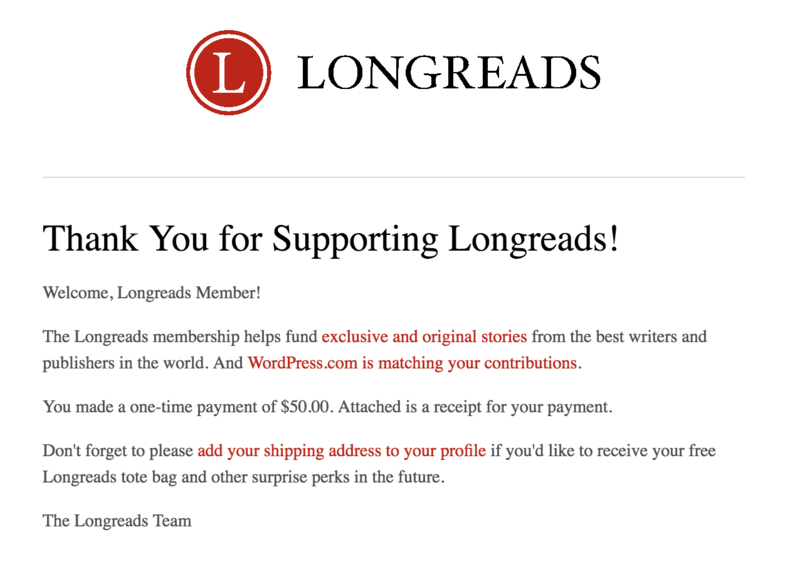 Longreads goes the extra mile and offers a gift to all customers along with their receipt. The email recipient is told the value of the membership, too. 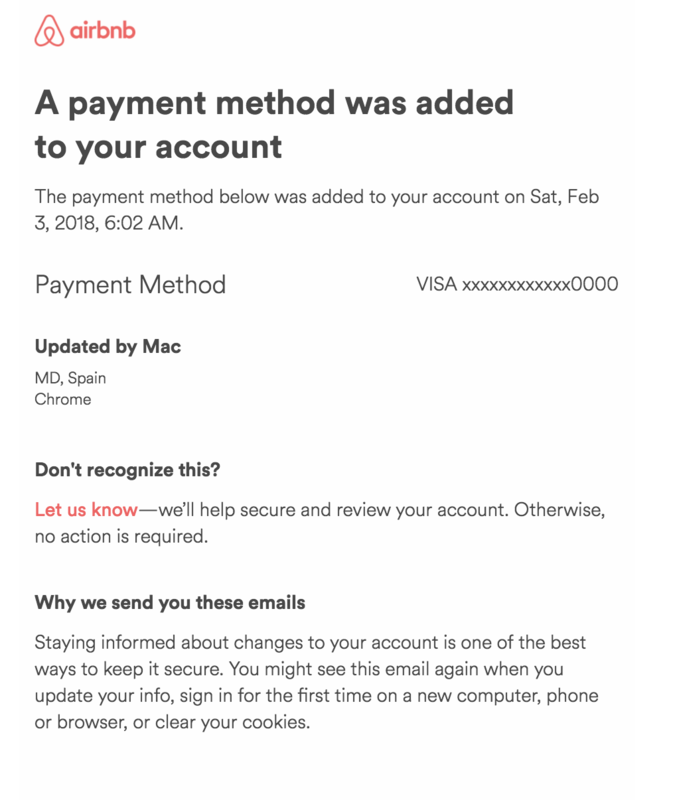 Dunning emails notify users about their credit card expirations and failed payments. 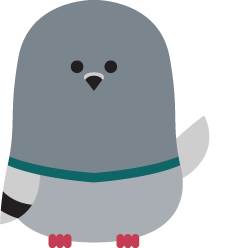 These emails solve a pervasive problem at companies of all sizes: delinquent churn. 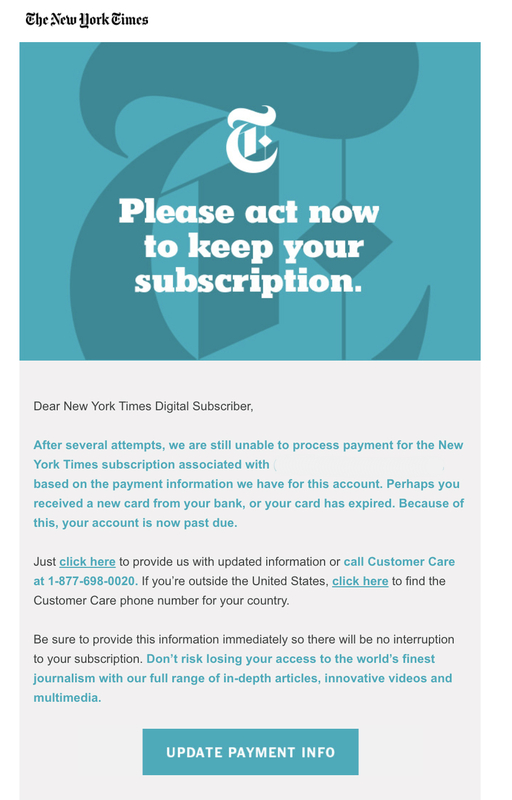 The New York Times sends subscribers dunning emails before, during, and after their card expiration. They also offer different avenues for payment, giving the customer choice and flexibility, while still directing them towards the necessary action. A typical refund email offers confirmation of a successful customer refund. It eliminates the worry for the consumer. Airbnb offers seven levels of cancellation policies, from flexible to super strict. If your cancellation aligns with the policy, a refund will be issued, and you’ll receive an email. Renewal emails signal to your customers that you’re keeping tidy records and looping them in about their recurring purchases. A renewal notice is the perfect opportunity to reiterate your value to the customer and the progress you’ve made together so far. 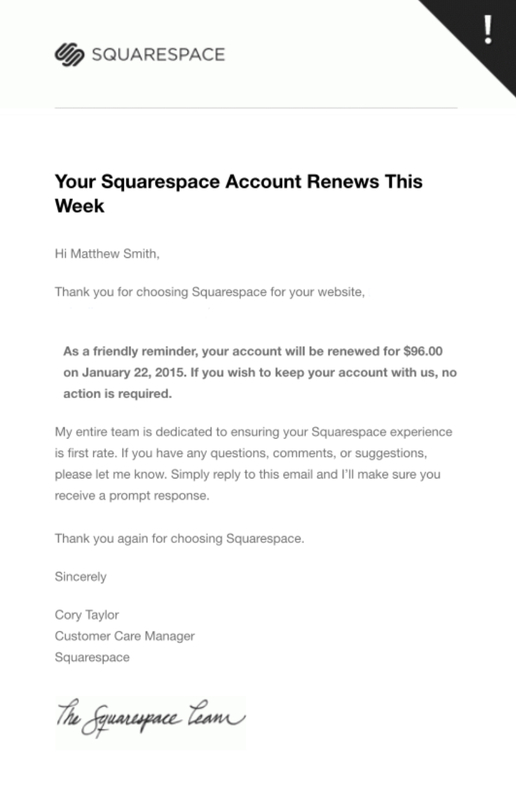 Squarespace designs these emails as a personal note of gratitude from a customer care manager. Since it’s an auto-renewal notice, the company makes it clear that the email is just a courtesy and no action is required from the user. App extension emails allow users to take action directly within their inboxes, offering the convenience to get things done. It’s a smart way to keep your product top of mind. Creating a flexible way to complete an action outside your app shows users that you put their needs first. It also recognizes that many consumers live a mobile lifestyle. 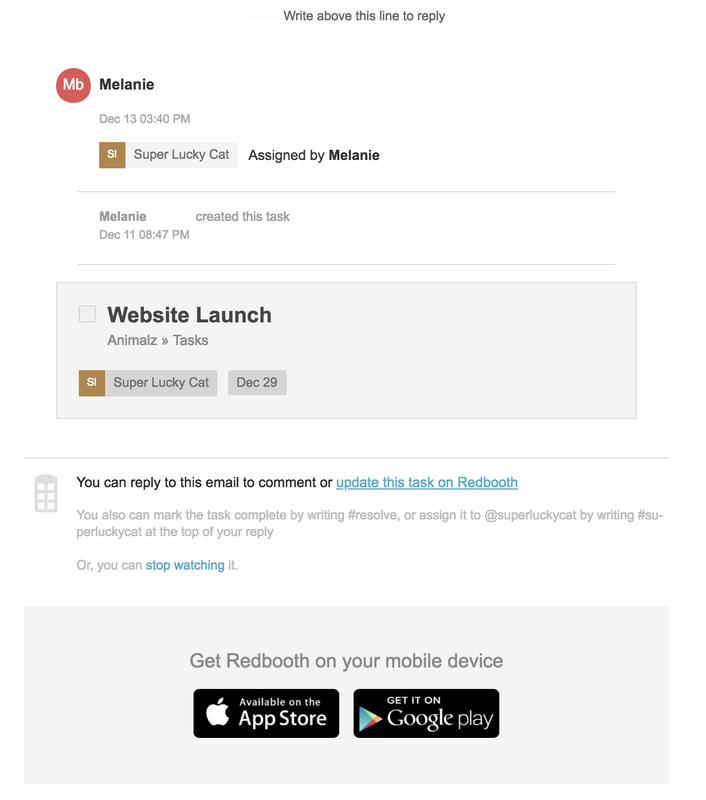 Redbooth’s task reminder emails allow users to comment on or update a task within the email itself. If the user needs to see more details, then she can visit the app to find out more. Notifications serve up mini-reports about new activity affecting a user’s account. Since most notification emails are optional (opt-in or opt-out), customers who sign up to receive them are genuinely interested in these emails and find them useful. When users are invited to a group, a project, or an upcoming event, chances are they’ll want to know about it immediately. 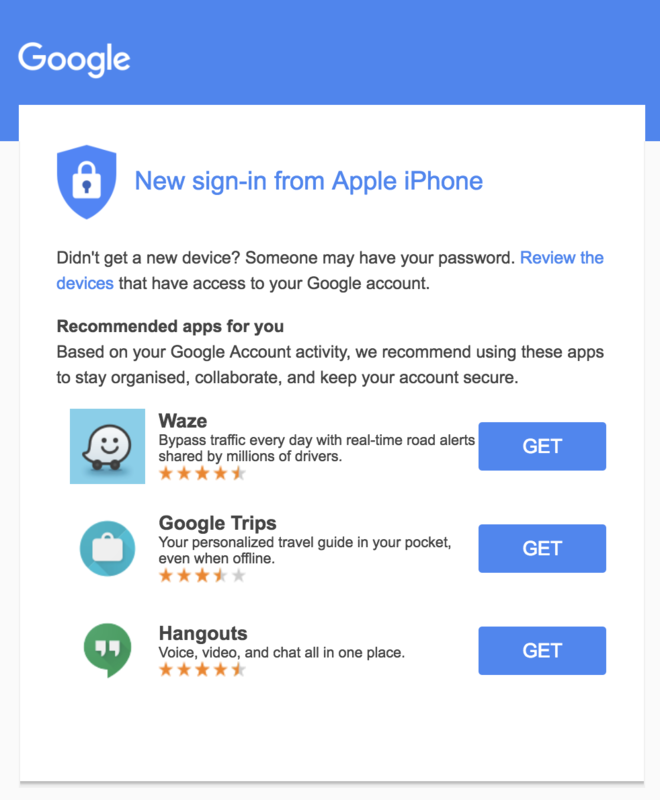 This email informs your users and gets them into your app. 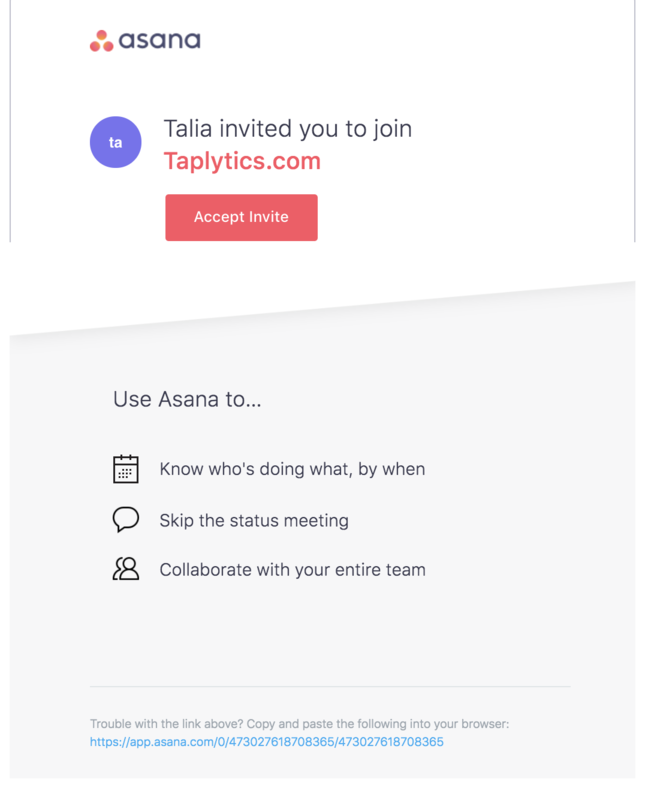 Asana’s email is all about directing users into a specific project and toward using their platform. They name the sender and the project along with a bold call to action. The three value propositions at the bottom help connect the dots. It’s just not possible to receive all your in-app notifications. Emails bridges the gap, giving you a heads up on important messages and mentions that came in while you were away from an app. Trello helps teams collaborate and be productive together. Here’s a notification of a mention. Note how Trello also makes easy to respond easily right from the inbox to the conversation. Positive reinforcement encourages users to do more with your product. When customers see the value, it provides powerful motivation to keep going. 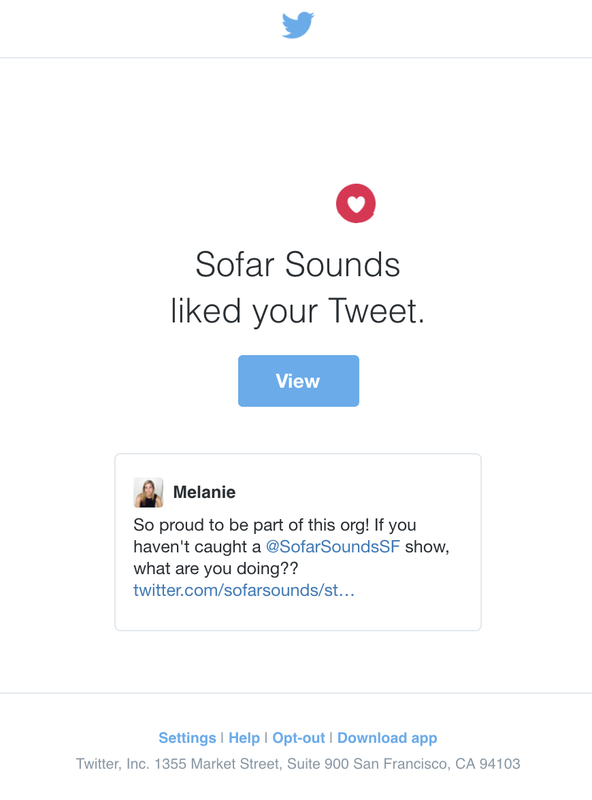 As one of the biggest social networks, Twitterknows how to celebrate these small wins with users. With a link to the original tweet and the account of the person giving praise, Twitter’s notification email makes users want to log back in to the app. How an app functions is a big deal. That’s why, you’ll want to notify users when they make changes, like an integration. 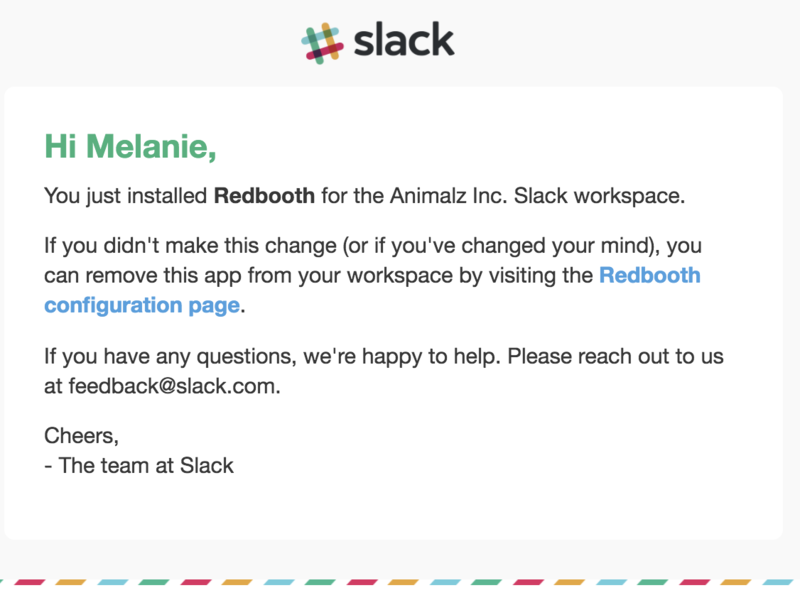 Slack’s email offers a link to the third-party app configuration page. It also provides a customer service contact for questions. Alerts are timely messages regarding changes to a user’s account. These notifications carry urgency and often require immediate attention. Forgetting a password is a common roadblock for users. A clear password reset email removes the barrier, ends the frustration, and allows business to resume as usual. Password requests guarantee an open, so don’t miss an opportunity to create an on-brand message that exceeds expectations. 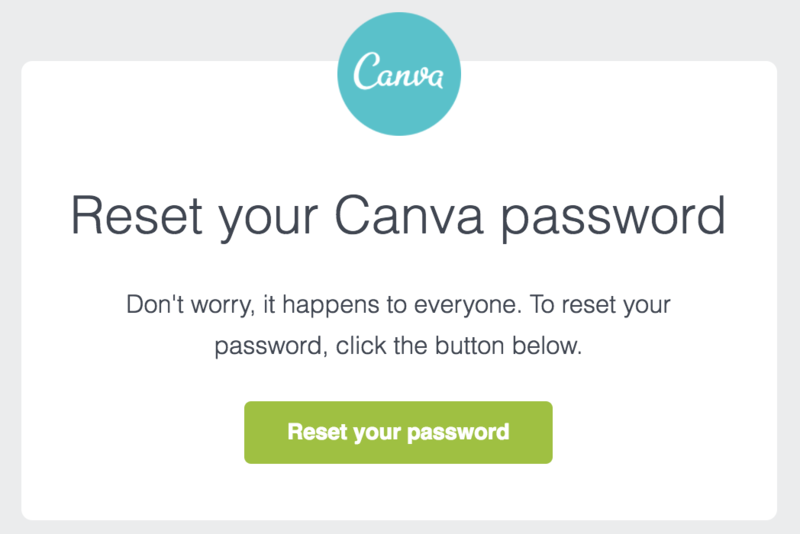 Canva knows. Their password reset email has the same branding style as their other emails. The copy is friendly and achieves the purpose of the email. Companies monitor their users’ accounts for any signs of fraud. Account safety alerts are a precaution to prevent damage. Google is particularly reliable in sending these alerts when you sign into a new device. This straightforward message also gives the user app recommendations. When a company changes membership benefits, users want to know about it. 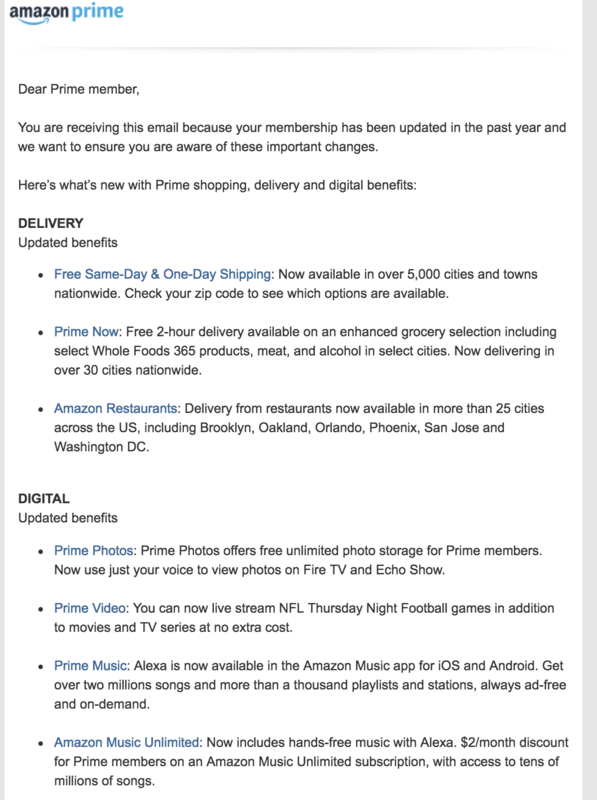 A membership update is a way to keep customers informed about everything, from new processes to released features. Amazon Prime is a beloved service. Their membership update email summarizes the benefits. It shows the growing value of a Prime membership and entices customers to renew year after year. When people hand over their financial information to companies, they are taking a considerable risk. And with no face-to-face interaction, it’s important to reassure customers that their credit card information is stored safely and the payment process follows a strict protocol. Airbnb explains why they send these alerts within the body of their email. 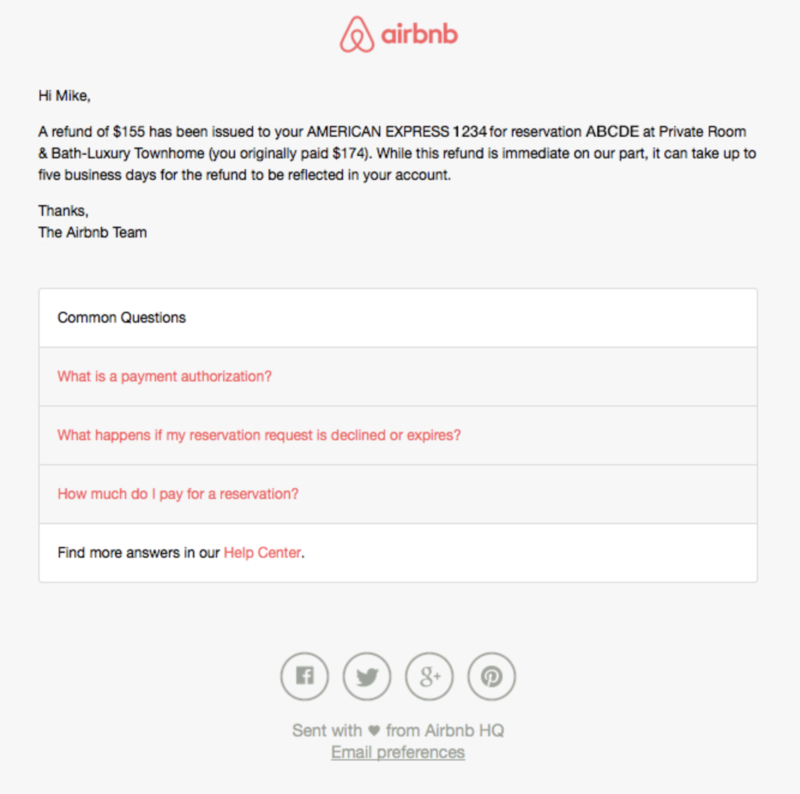 Airbnb errs on the side of transparency when it comes to payment safety. They include customers in the safety process. A simple message works well to remind customers about events related to your product or service. It draws customer attention back to your brand. JetBlue gives all the specifics, including the customer’s name, the flight number, and the destination. The airline is on a mission to make the flight experience easier for the customer. Order transactional emails help businesses run smoothly. They communicate the items purchased, creating momentum from the purchase to the post-delivery follow up. Shopping cart abandonment is a problem across online businesses. Barilliance research reveals that over 77% of online carts are abandoned before the customer pays. While businesses can never fully recover every window shopper, the problem can be combated with cart abandonment emails. 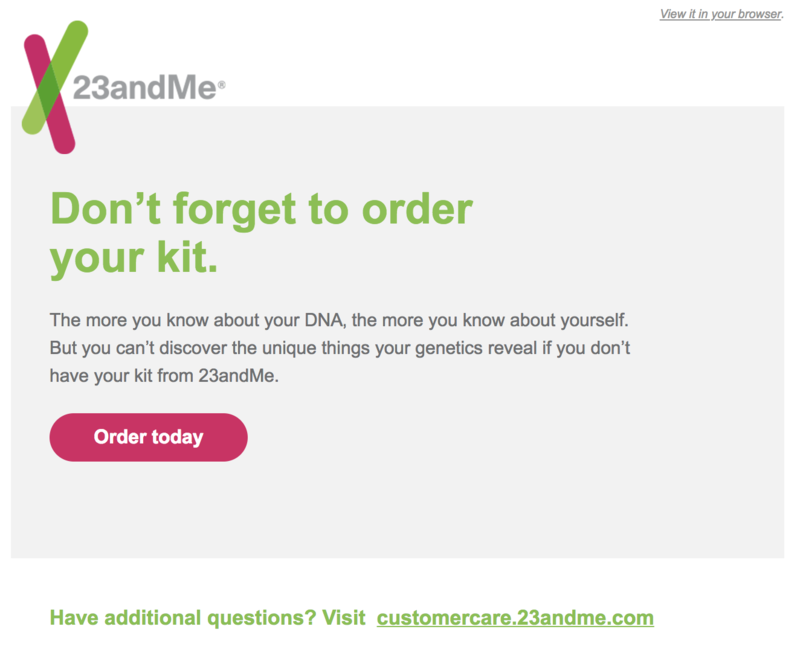 23andMe uses a bit of psychology along with a user’s desire for self-knowledge to get her to return to the cart. The copy shows the company’s confidence in their value to customers. It’s a powerful way to make someone think twice about giving up their kit. source: Really Good Emails Editor’s Note: Some experts consider cart abandoment messages as marketing emails. We included this type because these emails facilitate the customer relationship prior to the imminent transaction. The moment of conversion is a milestone worth celebrating. You can bring that joy to your customers with an order confirmation email. Allbirds sends a GIF of a dancing sheep to celebrate the purchase of their products. 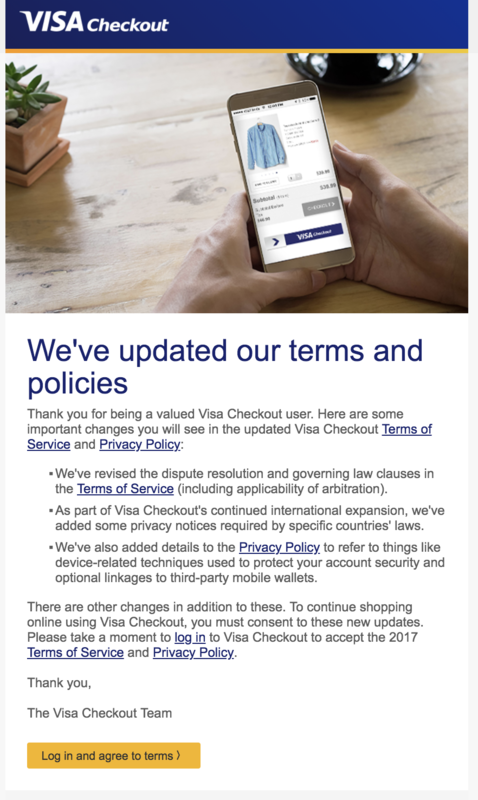 The email includes a casual version of a receipt, with images of the purchased items, the total spent, and the payment method. It also adds the call to action to view your order status. The purchase is complete, and the anticipation is growing. The shipping confirmation email provides key details about how to track a package as it goes from the warehouse to the doorstep. It’s also a chance to continue to build excitement, and even plant the seeds for a second purchase. 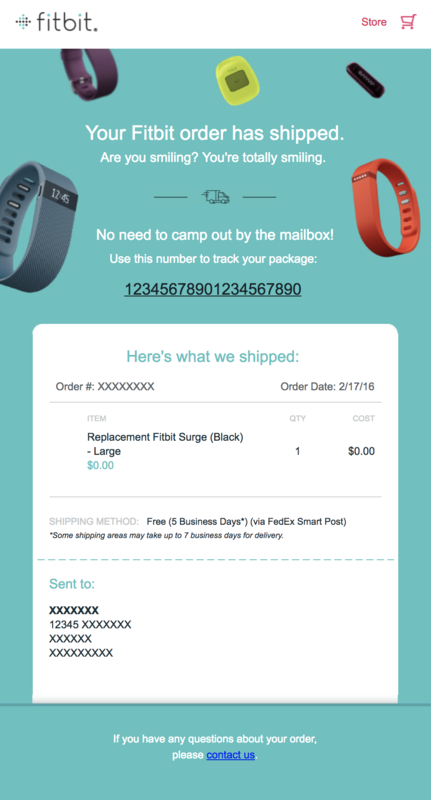 Fitbit’s confirmation email has bright product photos, a prominent tracking number, shipment information, and a link back to the store at the top. All these components add credibility to Fitbit and makes the customer experience worthwhile. Stuff happens, and orders get canceled. A professional cancellation email gives the customer reassurance that a cancellation is complete (and in some cases, a refund is forthcoming), and opens the door for further purchases down the line. 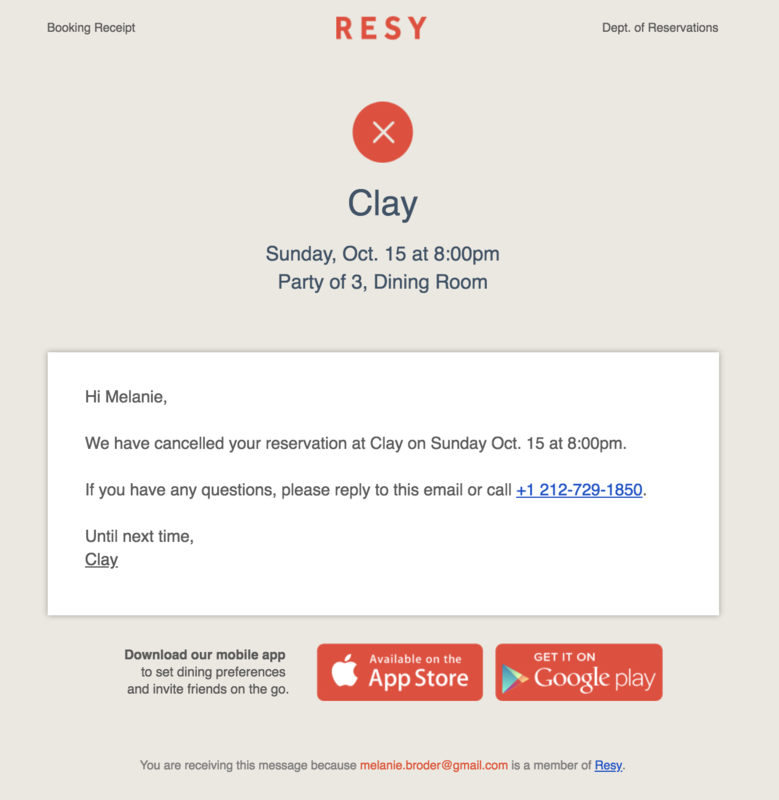 Resy, a restaurant booking site, deals with cancellations all the time. When users cancel, they instantly get a cancellation email. The message is centered around the restaurant and offers the chance to reply to the email or call if the customer has a change of heart. The customer journey doesn’t end at delivery. A smart company will open the floor for customer opinions, so they can continue to deliver value and win over customers for life. 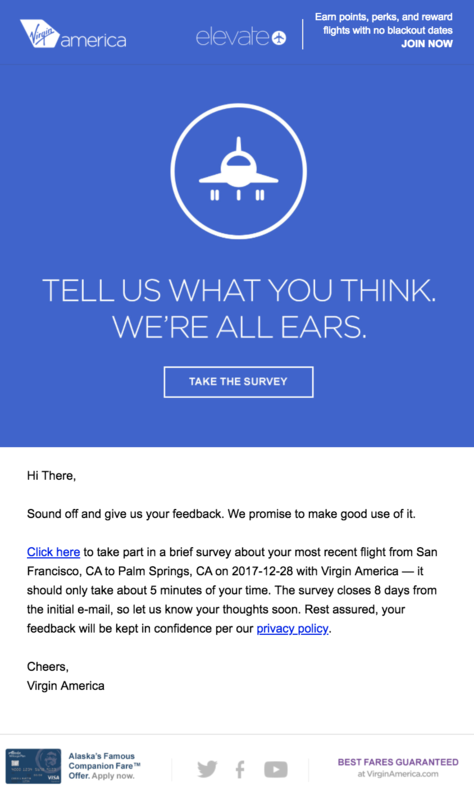 Virgin America creates a limited window for users to share their feedback after a recent flight. This small gesture is a way to make customers feel valued and respected. It also shows the company’s commitment to improving their services. Subscribing to a service is different than buying a one-off item. The customer lifecycle is longer and involves ongoing nurturing from your team. Transactional emails work as a catalyst to move the subscriber-service provider relationship forward. The timing for free trials vary from 15 days to a couple of months. So, a user may forget about the expiration date, or even the fact that they signed up. An automated notice at the end of a trial persuades customers to make a decision, while allowing a user to save their content, should they choose not to convert. At Customer.io, we like to send plain text, personal messages to our users at the end of their 30-day trial period. We use this email as a learning opportunity, as well as a last chance to ask for reconsideration. When a customer cancels a subscription, the cancellation email confirms their request. It’s also the first effort to try to win them back. A company can balance this plea and respect the customer’s wishes. 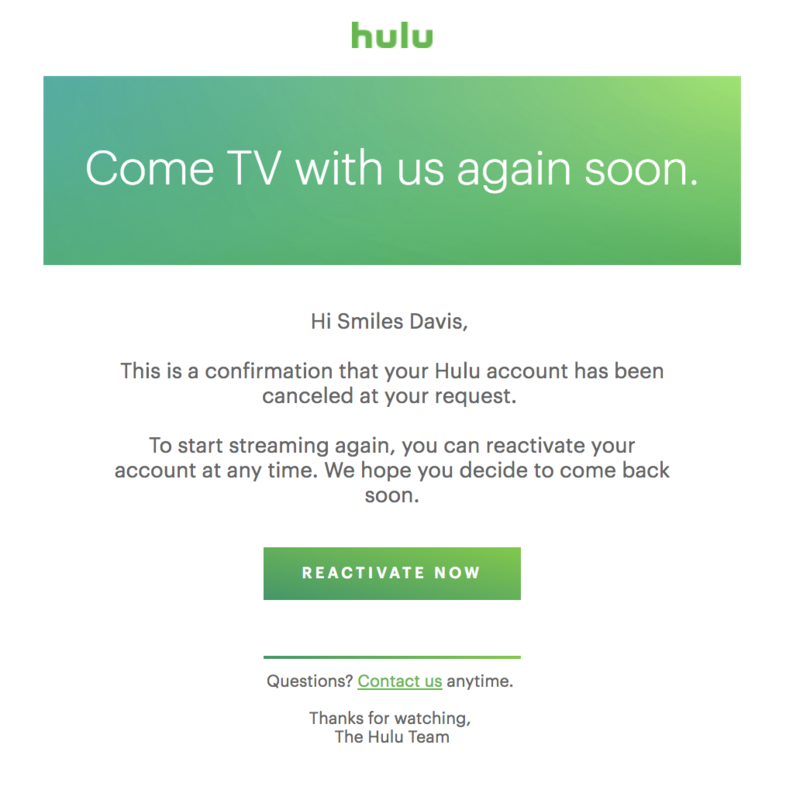 Hulu keeps things light-hearted in their cancellation email. It states a successful cancellation, but makes it easy to jump back into the platform with a reactivation button. This list is just the beginning. What are your best transactional emails? Seen any great ones in the wild? Add your input in the comments section below. Save these transactional emails for later (plus 5 bonus examples).Get your Best Transactional Emails Swipe File.